Through our time with the teachers in the last few months, we have noticed several things which we felt needed to be addressed formally, in the whole group, so all the adult stakeholders involved in the project could be on the same page. Thus, the October training program was created. The training consisted of several modules designed in-house for the teachers from the 5 schools in the Turning Schools Around Project. The program began on a high note with a Language Enrichment module. Keeping in mind the fact that learners model themselves after their teachers, particularly in the use of language, the activity packed module was designed to improve teachers' spoken English. 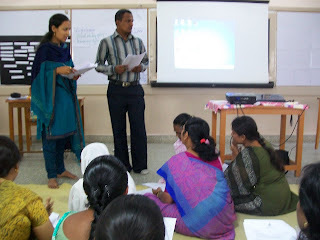 The following day, teachers attended subject specific modules for mathematics and English. The mathematics workshop was designed to equip teachers to execute Mathe-Logic, a mathematics program designed by TTF to address gaps in students' conceptual knowledge. The module emphasized basic steps a teacher should follow in a mathematics class as well as important mathematical skills which need to be developed for students to achieve a solid grounding in mathematics. The following day, a few teachers presented lessons from Mathe-Logic and the plans were critiqued by the group. TTF has also designed a program called Reading Can Be Fun which focuses on the development of reading skills. The module on English served as an introduction to the Reading Can Be Fun program. Teachers were presented with the idea that reading is a necessary life-skill which encompasses many sub-skills including but not limited to inference, prediction, matching and identification. 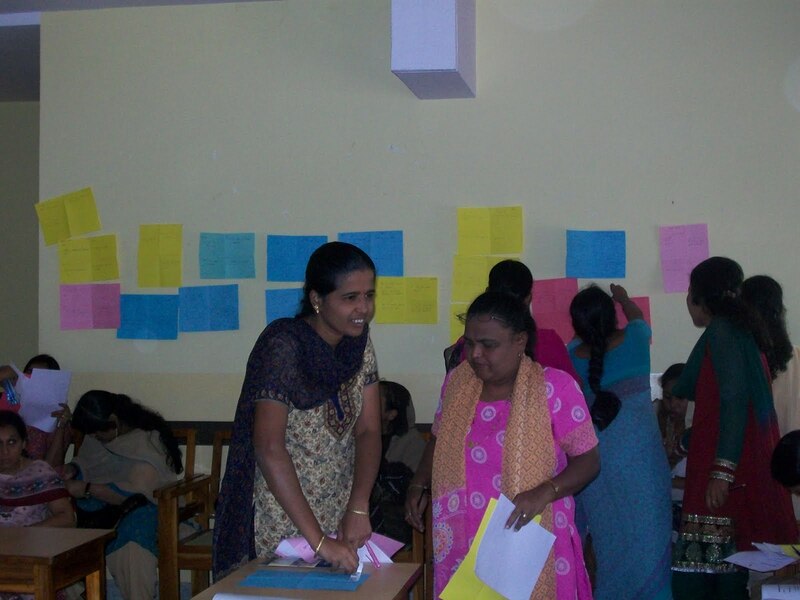 Following the introduction, the teachers were guided through a lesson plan - this gave them the opportunity to familiarize themselves with what they would need to do to utilize the program. The following day, teachers executed the lesson plans and were given time to critique the plans and raise any questions or concerns. 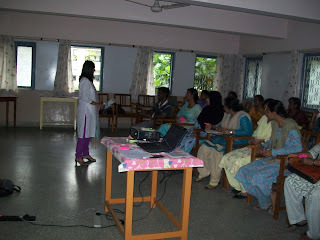 The third day saw the TSA team discussing Classroom Management strategies with the teachers. Through the module, the facilitators consciously used strategies that teachers would find useful in their own classrooms. At frequent intervals, teachers were given the opportunity to discuss how they might use these strategies in their own classes. 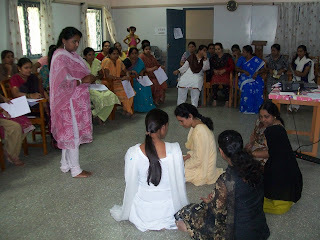 A key activity in the module involved a group of teachers role playing common classroom problems and the group critiquing the strategies employed during the role play. 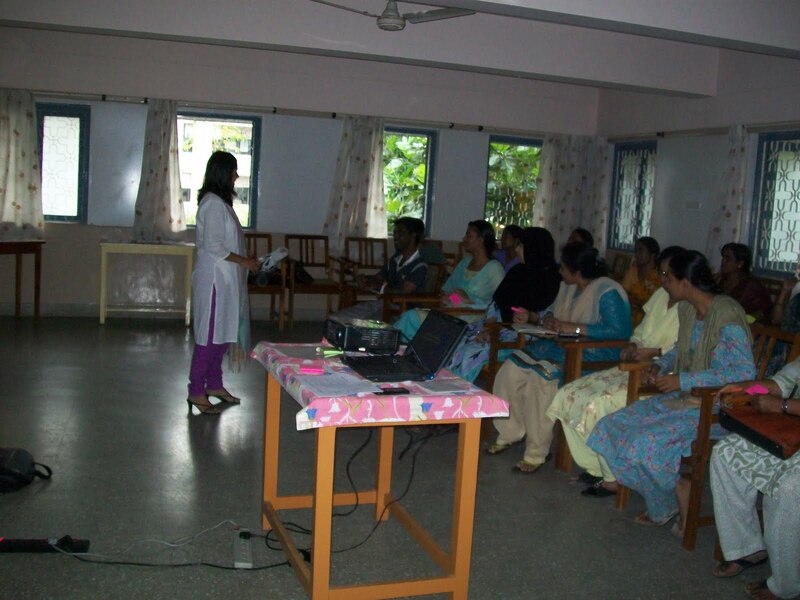 On the fourth day, teachers attended a module on Assessment. This particular module was designed keeping in mind the specific needs of this population of teachers. The aim was to help teachers realize that assessment can be formative or a diagnostic tool, not just a summative or an evaluative tool. Questioning skills were also addressed in the workshop - teachers were reminded that the types of questions determines the complexity and level of thought behind the answers. Teachers were reminded that a set of questions on any particular topic should cater to higher order skills (analyzing, creating and evaluating) and lower order skills (remembering, understanding and applying) as defined in Bloom's taxonomy. 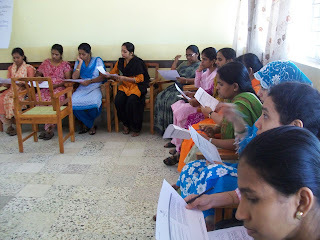 To conclude, teachers analysed a lesson plan for different levels of thought and formulated questions of their own to address both higher and lower order skills. 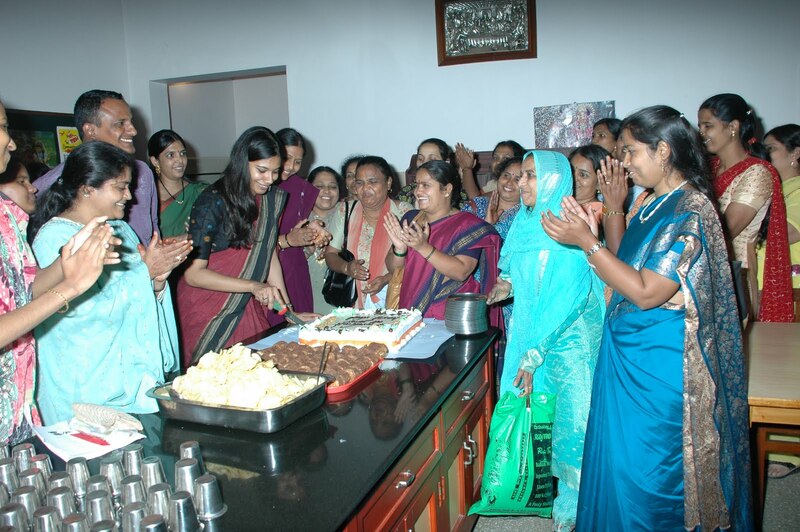 Finally, at the end of the fourth day, the TSA hosted a small celebration for the teachers. 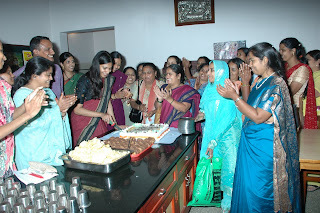 The festivities were partly to celebrate the succesful completion of the October training program and partly because we wanted to take the time to appreciate the teachers' hard work both during training programs and school-based support as well as in their classrooms. We took this time to give teachers cards and small gifts, play games and bond over good food.